It is beginning to be cast in concrete! This month there has been the leap from the idea on paper to it being executed on the ground. 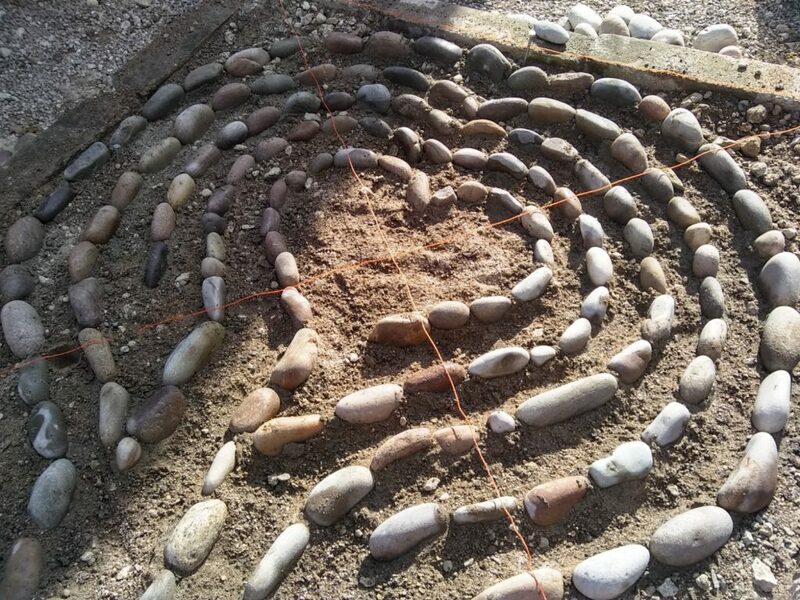 First, the border was installed, using blocks, leaving the central area to be excavated and filled with a sub-base and sharp sand. 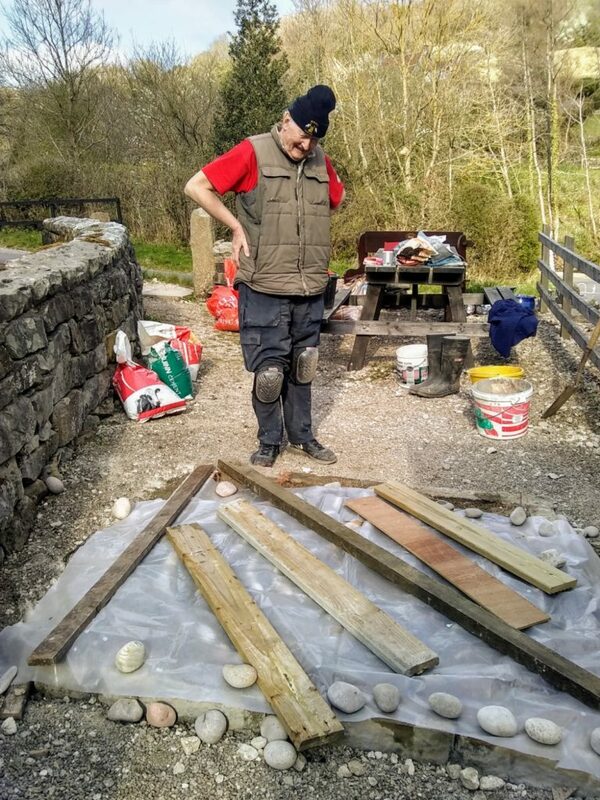 The guide stones were then placed using ply templates. That was completed on Friday by Shedder Roger helped by Eddie, Geoff, BrianC, Keith and RobertV. 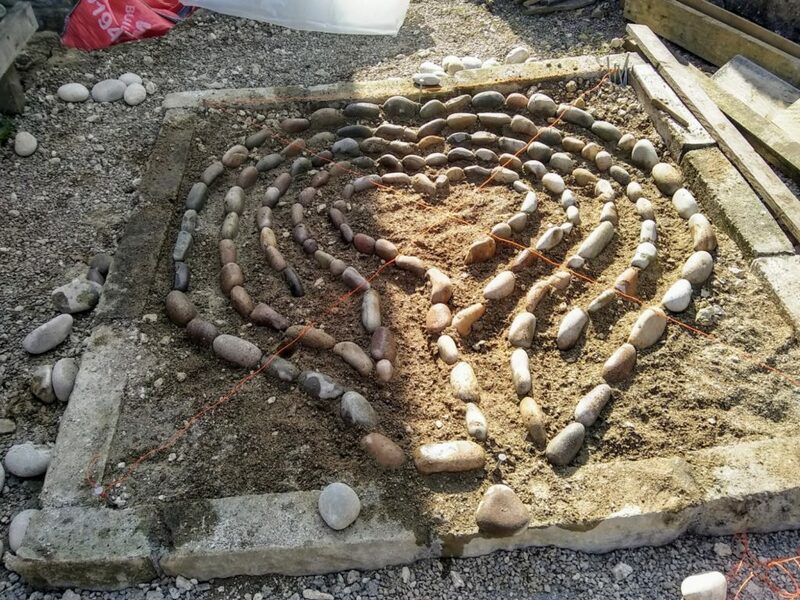 Today Roger mortared in the guide stones to preserve the shape, ready for path stones to be added between the guides and the addition of decorative features in the corners and in the heart. Take a look at Roger’s work, a testimony to his organisation.